Named after Felix Kir (1876-1968), Mayor of Dijon in Burgundy, a Kir Royale is the ultimate cocktail. When the fizz has gone, the Cassis can be used for cooking or as an indulgent ice cream topping. Always on the look out for home-grown products, we've found a Cassis made in Herefordshire. 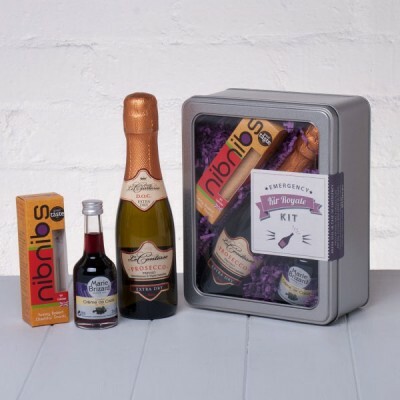 Packaged in a stylish gift box with your personal message. Lovely presentation and just such a great idea - an ideal present. Would be even better if it came with two flutes. Product was well displayed and arrived quickly. This was a birthday gift and the recipient was highly delighted and has said she will use this company in the future.